The Golf Course at Adare Manor is unmatched in world golf. A remarkable construction story set against Ireland’s finest resort destination; there are few places in the world that offer a golf experience of this nature. Re-designed by Tom Fazio, constructed to the highest of standards and opened by four Irish stars of world golf: Rory McIlroy, Padraig Harrington, Paul McGinley, and Shane Lowry. Adare Manor has long welcomed stars of world golf since first opening for play in 1995 and going on to host the Irish Open in 2007 and 2008. 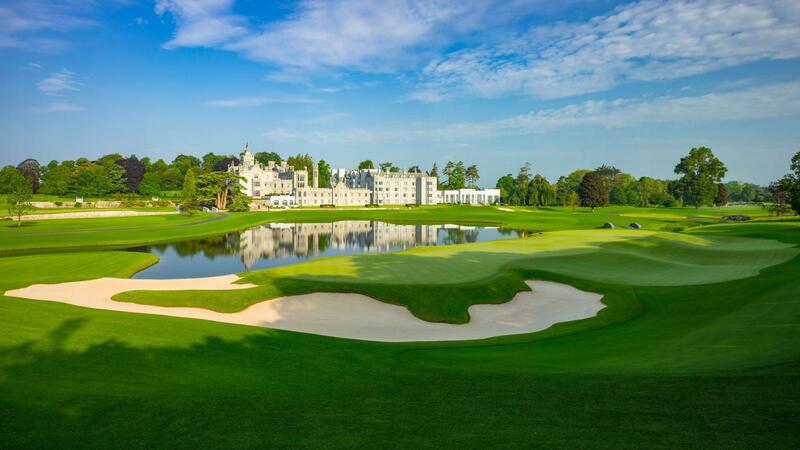 Now, after a reconstruction project that started in March 2016 under the watchful eye of Tom Fazio and his team of design experts, The Golf Course at Adare Manor sets a new standard for Irish championship golf. During the 24-month reconstruction, 220,000 tonnes of sand were used throughout the site to ensure every inch of the course has adequate drainage to cope with even the most severe of Irish winters. Over 6,600 sq. 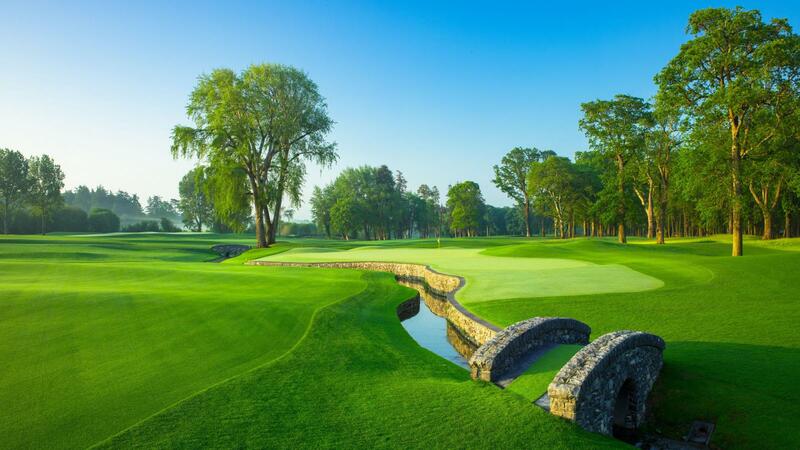 meters of bunkers were created to frame the manicured fairways and pristine greens. Interestingly, despite the significant use of sand throughout the property, Adare Manor features fewer bunkers than any other Tom Fazio design, numbering 41. 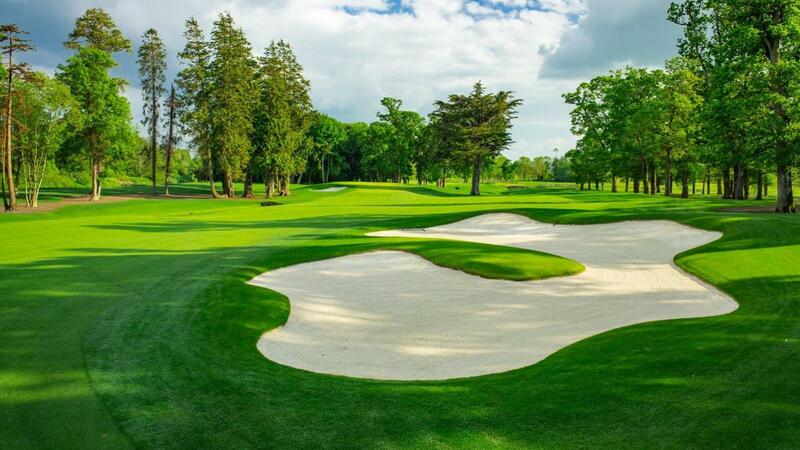 The Golf Course at Adare Manor will have no rough in play but rather 170 acres of low-cut, sand-capped grass. As such, it will become known as a challenging but fair test, which caters for a brisk pace of play. The Golf Course at Adare Manor is one of only three golf courses in the UK & Ireland where all 18 greens benefit from a SubAir Aeration System, removing moisture through vacuum pumps and guaranteeing firm play each day. In addition, 77,000 linear meters of gravel tranches and perforated pipes were installed during construction to aid drainage. Each green has been laid with super fine Pure Distinction bentgrass, the first layout in Europe to incorporate such a feature, while the course also boasts 17,003 square meters of A4 bentgrass approach surfaces, more commonly used upon the greens of some of the world’s finest championship layouts. 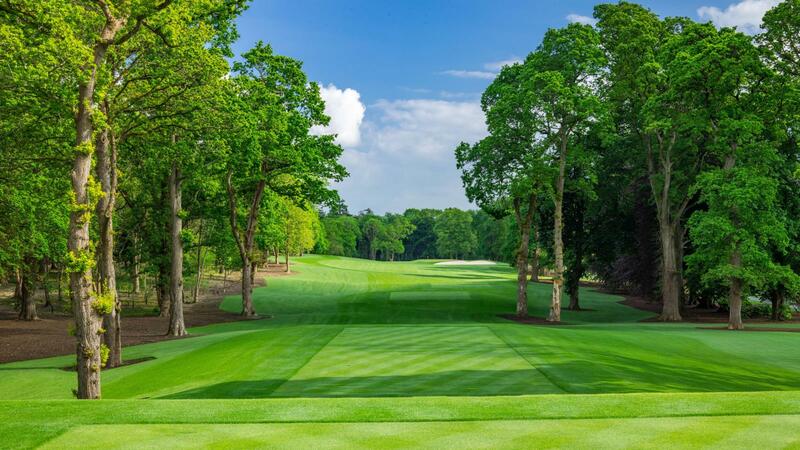 Another unique feature to The Golf Course at Adare Manor is that each hole incorporates the capability and infrastructure - through the incorporation of fiber optic conduit (for telecoms and power) and the installation of an advanced road network – to host the world’s most high-profile events; the first course globally to be created in such event-ready state. Under the guidance of Golf Superintendent Alan MacDonnell, an 18-year stalwart of Adare Manor who is well-tuned to the nuances of the climate along the stunning Wild Atlantic Coast of Western Ireland, The Golf Course at Adare Manor boasts a 50-strong greenkeeping team to ensure guests are presented with the finest playing surfaces every day, whatever the weather.